Aviva has officially announced that it is backing Perth to be the next UK City of Culture in 2021. The global insurance, investments and savings company becomes the fourth major private sector organisation to champion Perth in the national competition. The FTSE 100 company joins the Stagecoach Group, SSE and the Gleneagles Hotel in endorsing Perth for the title. The backing demonstrates the momentum and wide ranging support that Perth is building locally and nationally. National and local institutions such as Perth College UHI, the Royal Scottish Geographical Society and Young Scot are joined by a plethora of local businesses, small traders and individuals in backing the bid. Aviva has strong ties to Perth and has been in the city for over 130 years, under the name of General Accident. In 1998 General Accident merged with Commercial Union to form CGU, one of the country’s biggest insurance companies. CGU merged again with Norwich Union in 2000 to form Aviva. Today the company is a globally recognised brand and serves over 31 million customers worldwide. “Aviva is delighted to back the bid for Perth to become UK City of Culture 2021. Aviva has been a part of the Perth community since General Accident was formed here in 1885. 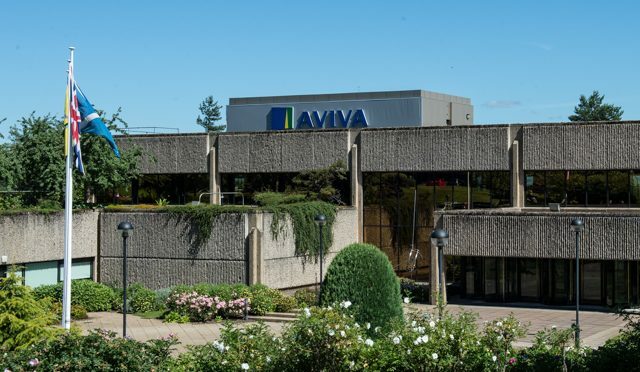 Aviva is a vibrant and growing business with several centres of excellence within our offices in Perth. Our people have a great affinity and history within Perth, but we are particularly supportive of the theme of Belonging, emphasising the city’s role as a meeting place and drawing on the rich heritage as a catalyst for creativity and ideas. Aviva is proof that major UK wide (and indeed international programmes) innovation programmes can be driven from Perth. We believe that heritage is a very important base on which to look forward and drive these new innovation and increasingly digital solutions for customers. Provost Liz Grant said, “I am delighted that Aviva has decided to back Perth to become the next City of Culture in 2021. Perth previously housed the headquarters of General Accident, which eventually became a part of Aviva through mergers, so the business has lots of historical ties with the area. I’ve been strongly encouraged with the level of support coming from the business community, particularly some of the large national and international organisations which are based here. Businesses recognise that Perth stands to gain a lot by winning this important title. This year Hull will generate over £60m from being the 2017 City of Culture, which demonstrates the power of culture to regenerate economies and open up new creative opportunities. Since being crowned City of Culture in 2013, Hull has received over £1bn of investment and a growing number of people, businesses and organisations in Perth and Kinross are realising that our area could similarly benefit if we were to win.